I am hopefully giving a pint of my O+ tomorrow! I try giving blood every chance I get because I have all this extra in me, I’m healthy, and someone else needs it out there. So if you’re eligible and feel like helping someone in need without spending money (this is Livin’ La Vida BROKE-a after all), why not find a blood drive near you! I common problem I and many other women have is low iron. The past three times I have tried donating I’ve been turned away because my iron was just a little too low. That isn’t going to happen tomorrow. 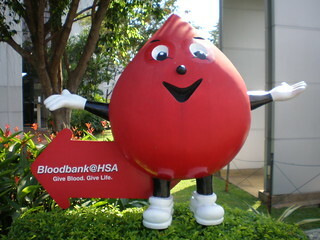 Any tips or trick about blood donation? Let everyone know in the comments! I feel your pain on the iron levels thing! I actually grew up around pretty gorey stuff as my parents were horror movie buffs! They seemed to have passed the bug on to me, and I can pretty much watch anything without so much as batting an eyelid. But show me a needle in a vein and I actually cringe! Only they said my weight and iron levels were too low. It actually upset me, after getting myself so worked and psyched up! I’m a very healthy eater though so I might try again soon! Thanks for the inspiration and good luck! For some reason needles have never bothered me. I see it as a quick pinch then nothing.